The On Deck Sports and Technology Conference is an annual event series designed to shine a spotlight on new and emerging technology that is transforming the ways that we follow, enjoy, analyze and understand sports. The 2014 On Deck Conference aimed to identify the key trends and technologies — emerging from both industry incumbents as well as emerging startup companies – that will reshape the sports industry in the years ahead. The conference provide a platform to surface promising new technologies and startups that will transform the sports industry. Over 400 sports industry executives, sports tech startups and fans attended the conference to discuss the key ideas and innovations in technology. VegasTechFund-backed Rolltech was invited to apply for the pitch competition by the conference organizers and ended up being selected to pitch. In the end, Rolltech took home the big win. “Out of the many that applied, 6 companies were selected to compete in the pitch competition,” he said. The pitch competition format was 4 minutes of pitch, 4 minutes of Q & A. Rich Belsky and his team said On Deck was a great conference because it brought together executives from professional sports – both on the industry side and team side. The conference also brought together leaders in fantasy sports and virtual gaming. Rich Belsky started Rolltech in Vegas, before VegasTechFund or Downtown Project existed. 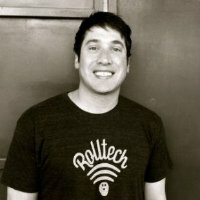 Rich Belsky says Rolltech currently employs 7 people, and some are located in Las Vegas and others are outside the city. “We are going through a hiring phase right now and will soon be around 10. Most of us bowl, some of us seriously, and most can quote the Big Lebowski,” he said. About Rolltech: Rolltech is the future of bowling. 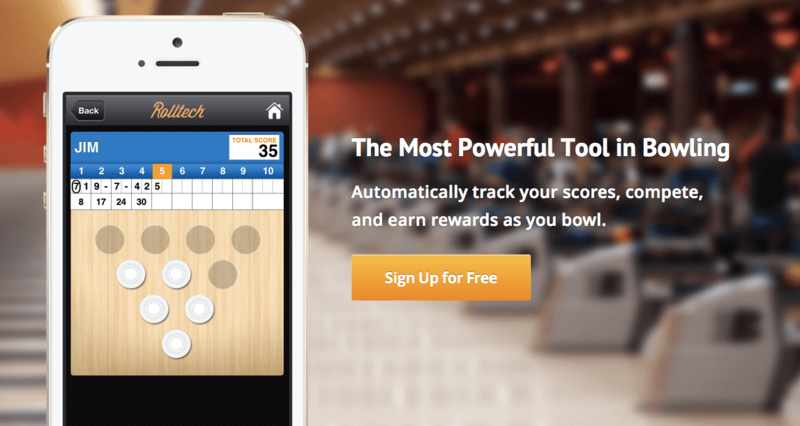 We give bowlers the opportunity to join the rest of the technological and social media fueled world by offering automatic, real-time score and stats tracking, sharing, challenging and points earning/redemption. Rolltech enhances existing bowling center revenue streams and give centers unprecedented access to their customers through our Center portal. We know our 100M member strong, $6B+ market extremely well, know how to reach them, and have a clear path to profitability.